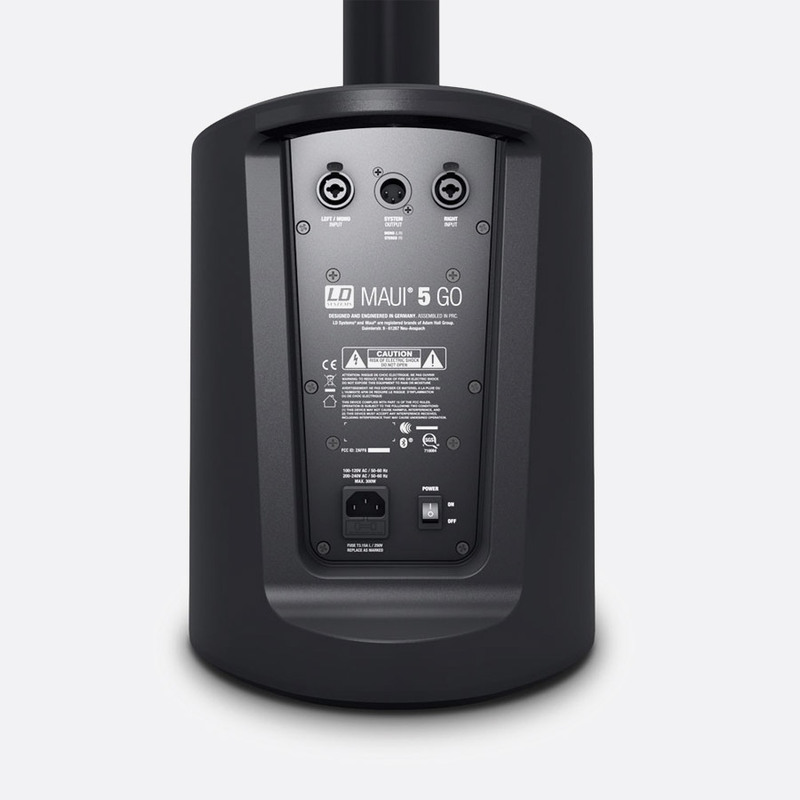 LD Systems MAUI 5 GO is a compact, four piece, battery or AC mains powered column style PA system designed for portability and use in corporate events or smaller live sound systems. 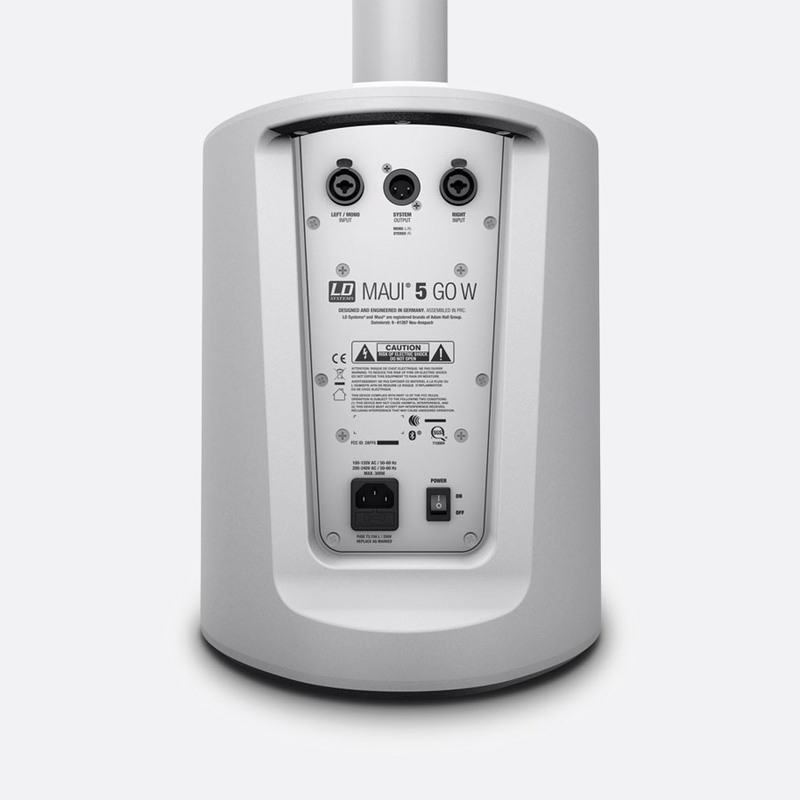 Available in black or white, the MAUI 5 GO comprises of an 8-inch subwoofer, a slot-in column with an LG Lithium-ion battery, a slot-in column shell for extending the height, and a slot-in mid/high frequency column with four 3-inch drivers. 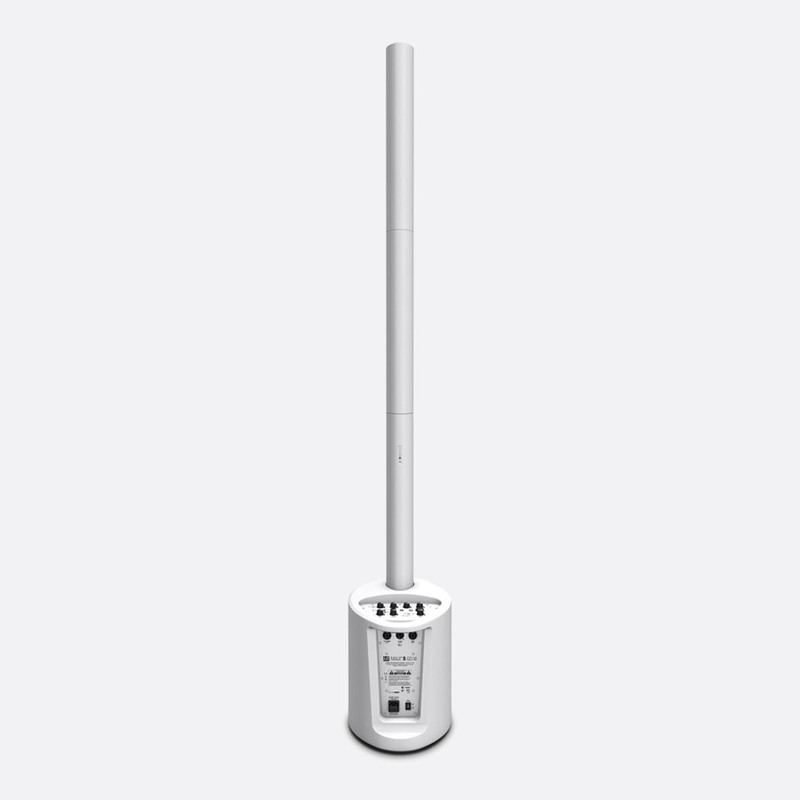 The system can be used without the slot-in column shell if the additional height isn’t required, however both battery and mid/high columns must be used to complete the system. The battery column has a green LED that illuminates when charging, whilst a 4-stage LED tree shows the battery status when a battery check button is depressed. The unit is charged when attached to the subwoofer and can be ran whilst charging. A charging dock, 76-0913, can be purchased as an optional accessory. Battery capacity of 30hrs at 98dB, 10hrs at 104dB, or 6hrs at 120dB. The subwoofer has a 200W RMS Class D amplifier, 800W peak that powers the complete system. 220-240V AC power input is via IEC connection with latching rocker switch for system power on/off. Dual balanced, 3-pin XLR/6.3mm jack combination inputs are located on the rear panel, with a single 3-pin XLR ‘System Output’ offering a summed output link to a second MAUI 5 GO. If the main MAUI 5 GO system is switched to stereo mode, the ‘System Output’ will send the right hand audio channel to the second system. In this mode all level control is determined with the main system controls. The top of the subwoofer features all audio control along with Bluetooth pairing button and audio channel inputs. A stereo 3.5mm jack socket labelled ‘MP3’ can be used for external audio devices such as MP3 players or compatible audio players. 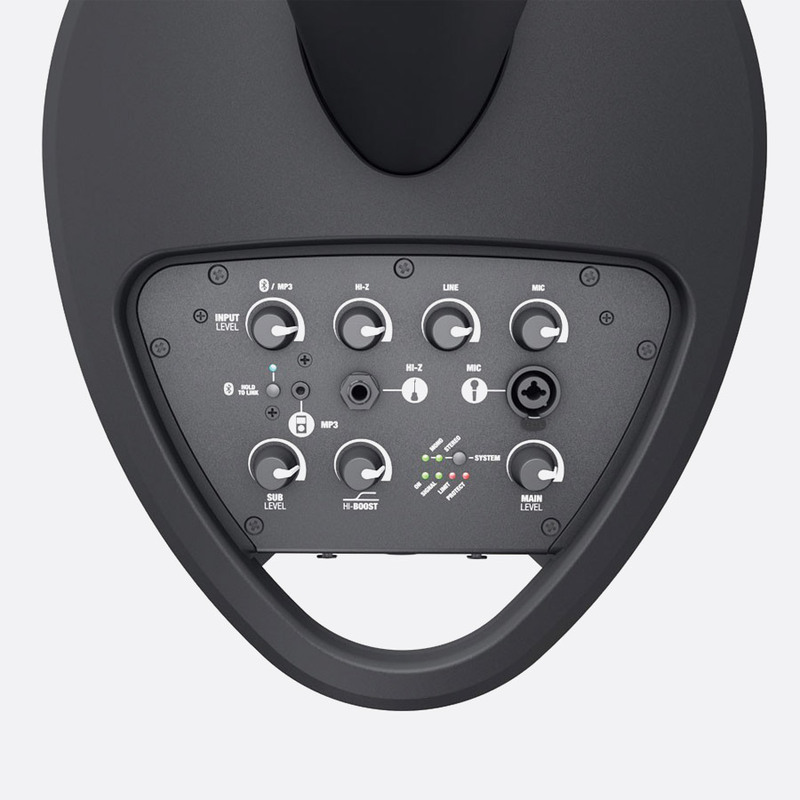 A single 6.3mm high-impedance jack input allows the connection of an instrument such as electro acoustic or electric guitar, and a balanced 3-pin XLR/6.3mm jack combination input provides a microphone connection. Phantom power isn’t provided by the MAUI 5 GO. 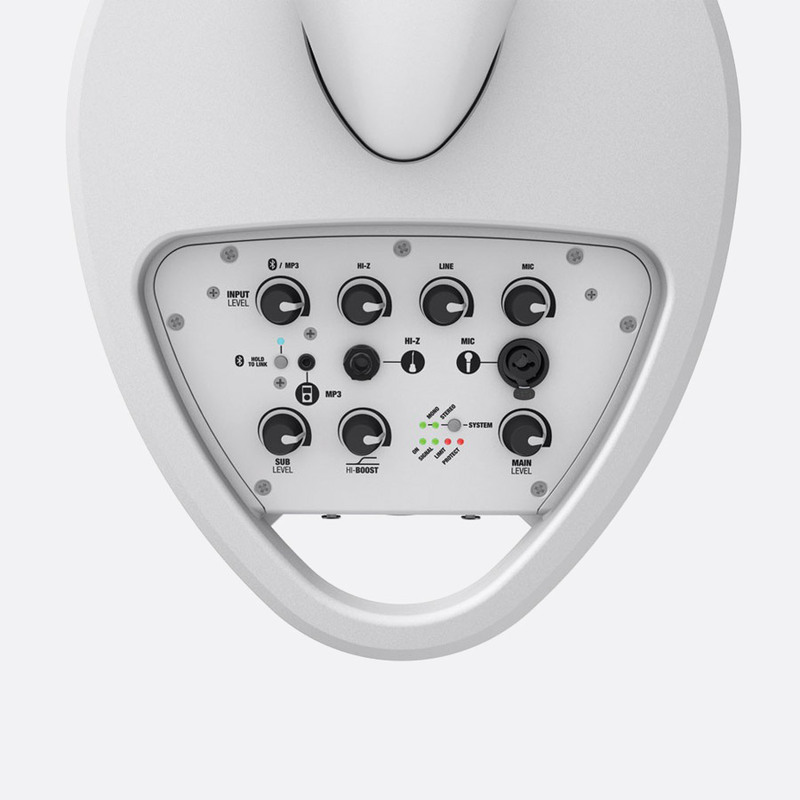 A combined Bluetooth/MP3 volume control allows for the adjustment of level, whilst separate volume controls for Hi-Z, Line and Mic allow for the mixing of input channels. A ‘Sub Level’ rotary controller allows the user to adjust the level of subwoofer output power, a ‘Hi-Boost’ control allows the user to adjust the high frequency output, and a ‘Main Level’ control allows the total audio output level. Two LEDs illustrate the mode (Mono/Stereo) of the system, and four LEDs show the operator power on, signal present, limit, and protect (in the case of overheating or overloading) status at a glance. 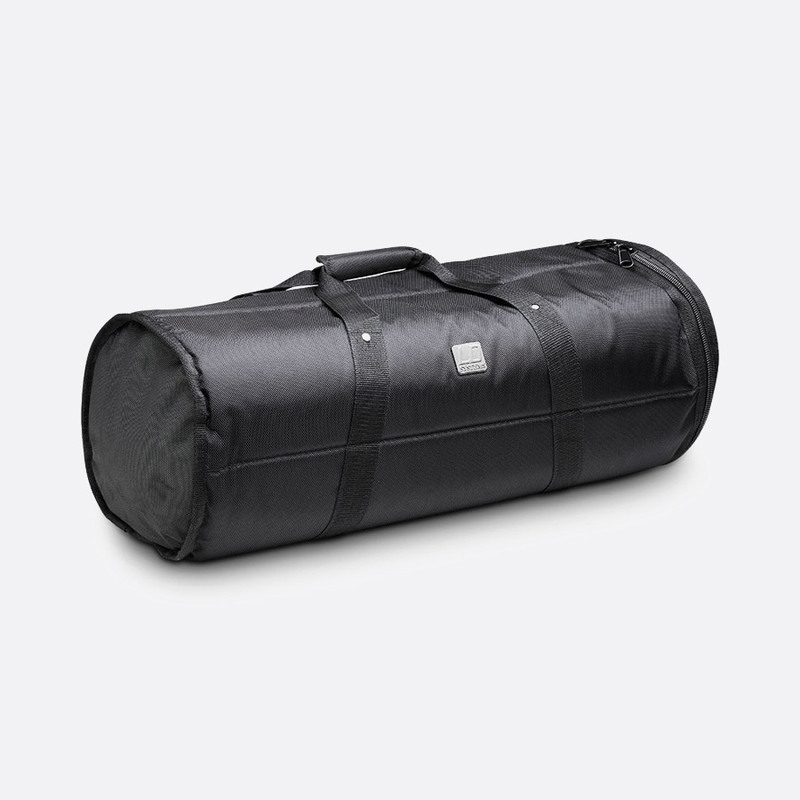 Optional Accessories: MAUI 5 CD CHARGING DOCK, MAUI 5 GO BC BATTERY COLUMN (black), MAUI 5 GO BC W BATTERY COLUMN (white), MAUI 5 SAT BAG SOFT CASE For 4x MAUI 5 GO columns, MAUI 5 SUB PC PROTECTIVE COVER For MAUI 5 GO subwoofer. Frequency response: 50Hz – 20kHz. Maximum SPL: 120dB. Dispersion (H x V): 120 x 20 degrees. Protection: DSP multiband limiter plus short circuit, overcurrent and thermal. 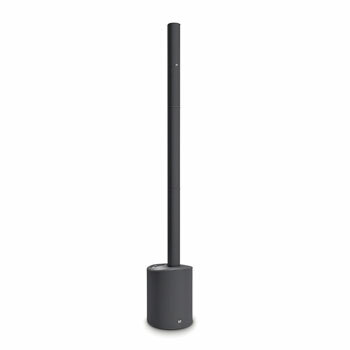 Weight: 8.5kg, subwoofer; 1.7kg, battery column; 0.8kg, spacer column; 1.3kg, loudspeaker column; 12.3kg, total weight. 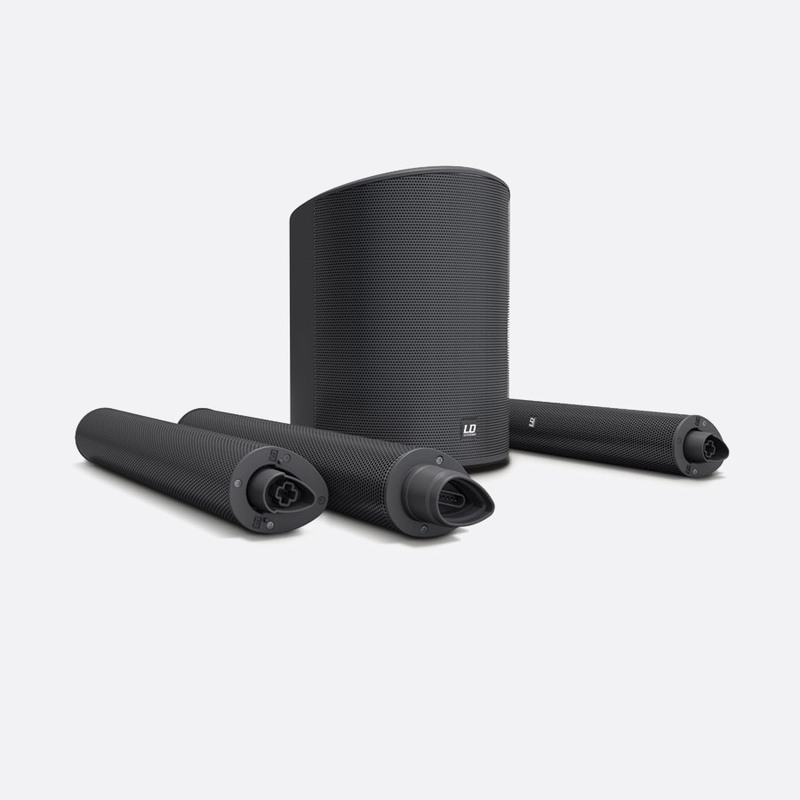 Dimensions (W x H x D): 305 x 405 x 395mm, subwoofer; 82 x 535 x 105mm, per column; 1989mm total height.